Service, room size, cleanliness, and food were great. A true gem. Great location, clean rooms and nice staff with a good stocked bar. Where to find Stuhr hotels near an airport? How can I find hotels in different Stuhr neighborhoods? Where can I find hotels in Stuhr that are near tourist attractions? If you are searching for affordable or upscale accommodation options in or near Stuhr, it is useful to know that there are numerous possibilities. Expedia's booking page currently has 26 hotels within a 0.1-kilometre (0.06-mile) radius of the center of Stuhr. The DreiMädelHaus - Restaurant & Hotel is the closest Expedia-listed hotel to the middle of Stuhr and is just a quick drive away. 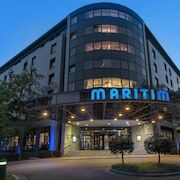 You could check out the Dorint Park Hotel Bremen and the Radisson Blu Hotel, Bremen. 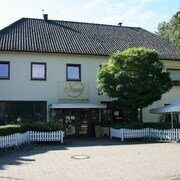 The Dorint Park Hotel Bremen is situated 12 kilometres (7 miles) away from downtown Stuhr. The Radisson Blu Hotel, Bremen, is located 10 kilometres (6 miles) away. 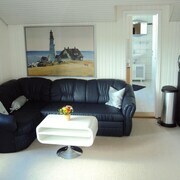 Alternatively you could make a reservation at the Appart Hotel Heldt or the Best Western Hotel Zur Post. After you have explored Stuhr, why not travel a little further afield? The Lower Saxony - Bremen district has a number of things to offer visitors. Spend time at Lower Saxony - Bremen's old towns and historic mansions. Those who love the great outdoors could also make the time to to admire the region's beaches and coastal plains. Adventurous visitors may also try snowboarding and skiing in this part of Germany. The closest places to spend the night in Bremen are Schnoor Quarter and Brinkum. Schnoor Quarter is 10 kilometres (6 miles) to the northeast of Stuhr, while Brinkum is 4 kilometres (3 miles) to the northeast. 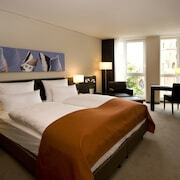 Schnoor Quarter hotels and apartments are the ATLANTIC Grand Hotel Bremen and Ringhotel Munte Am Stadtwald. The ATLANTIC Hotel Airport and Holiday Inn Express Bremen Airport are amongst the hotels and apartments in Brinkum. If you enjoy sports and really like games you might choose to make a trip to HDI Arena, which is 100 kilometres (61 miles) to the southeast of Stuhr. For those who are keen on staying close by, make a reservation in the Cityhotel Königsstraße or Sheraton Hanover Pelikan Hotel. If you are traveling into or out of Neuenland Airport and choose to stay nearby try Designhotel ÜberFluss or Swissotel Bremen. What are the most popular Stuhr hotels? Are there hotels in other cities near Stuhr? What other types of accommodations are available in Stuhr? Explore Stuhr with Expedia.ca’s Travel Guides to find the best flights, cars, holiday packages and more!